My article Special force needed after India ignores border intrusions on the Chinese side appeared last week in The Mail Today. India is facing difficult situation on its borders; not only for the LoC with Pakistan, but also for the LAC with China. Between 200 and 300 Chinese intrusions inside the Indian territory occur every year but for the sake of the ‘normalization’ with Beijing, Delhi is keeping rather silent. There is perhaps a solution to improve the situation: a better administration of the border areas. For the security, the Indo-Tibet Border Police Force (ITBPF) is deployed from Karakoram Pass in Ladakh to Jachep La in Arunachal Pradesh along the 3488 km Indo-Tibet border, manning Border Outposts in the three sectors of the Himalayan frontier. While the ITBPF, raised on October 24, 1962, is a specialized mountain Force with professionally trained mountaineers, the civil administration in these Himalayan areas is still in the hands of young IAS officers, unequipped and often unwilling to go through the hardship necessary to interact and help the local population. Today, there is an acute need for a special cadre to administrate India’s borders, principally in the Himalaya. Is the Government ready to take a first step in this direction? Probably not, as it may ruffle too many feathers, starting with the powerful IAS lobby. Nehru took a great initiative in creating a separate cadre for India’s frontiers, mainly NEFA, Tibet, Sikkim and Bhutan. When on April 4, 1952, the Prime Minster mentioned to Jairamdas Doulatram, the Governor of Assam, the need of a ‘special’ cadre; the idea was not appreciated by all. Finally in 1954, the first batch of officers, drawn mainly from the Army but also from the All-India services, was posted on the frontiers. The initial recruitment to the Indian Frontier Administrative Service (IFAS) was made through a Special Selection Board with representatives from the Ministries of External and Home Affairs and Defense, along with an expert in tribal affairs, Dr. Verrier Elwin, the famous British anthropologist who had just taken Indian citizenship. Verrier’s concept of the development of these areas was expounded in his celebrated book, The Philosophy of NEFA. Sixty years later, one realizes that though the idea was good, the over-romantic views about the border population amounted to the segregation of a large chunk of the Indian population and triggered underdevelopment of the border areas, still existing today. K.C. Johorey who later became Chief Secretary in Goa was one of the first pioneers who joined the IFAS; he still remembers what Nehru told his batch: “The staff must go along with the flag and the typewriters can follow later on.” Johorey recalls his first posting in Along in the Siang Frontier Division: “There were two houses, one for the burra sahib [for Yusuf Ali, his boss], and behind another smaller hut. The houses were really huts made of bamboos, palm leaves and canes. Even the tables and the beds were of bamboos. There were no mattresses, no electricity and no furniture. The houses were very clean and airy. That was all,” says Johorey. One of the most famous members of the IFAS is Maj Ranenglao ‘Bob’ Khathing who single-handedly brought Tawang under Indian administration in February 1951. Unfortunately, Verrier Elwin could only see the anthropological side of the issue, forgetting the strategic as well the economic aspects of the border development; it resulted in a huge development gap between the frontier areas and the rest of India, which became critical after Tibet’s invasion in 1950. As a result, when China attacked India in October 1962, the country was unable to give Mao’s troops a befitting response. The IFAS, an adhoc creation of Nehru, was dissolved in the mid-1960s and the intrepid IFAS officers were ‘merged’ into the ‘boring’ IFS, IAS or IPS. 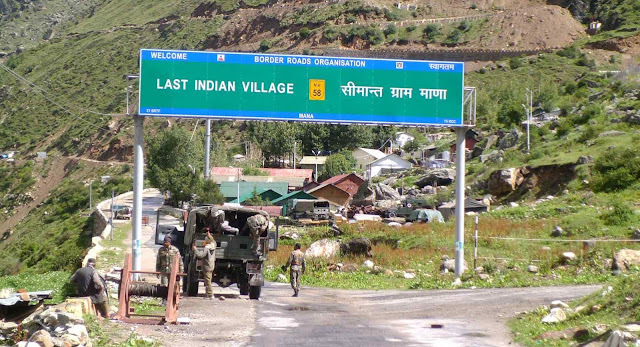 It is perhaps time to review the concept and create a new IFAS (or an Indo-Tibet Border Administrative Service), with daring officers coming from different walks of life (perhaps mainly from the Army to start with), but who would be willing to undertake the vital task to develop Indian frontiers. The IAS is today not fit for the job, though young dynamic IAS officers would be welcome in the new service.